Emanating a warm glow from soft earth tones, this table lamp complements practically any decor. 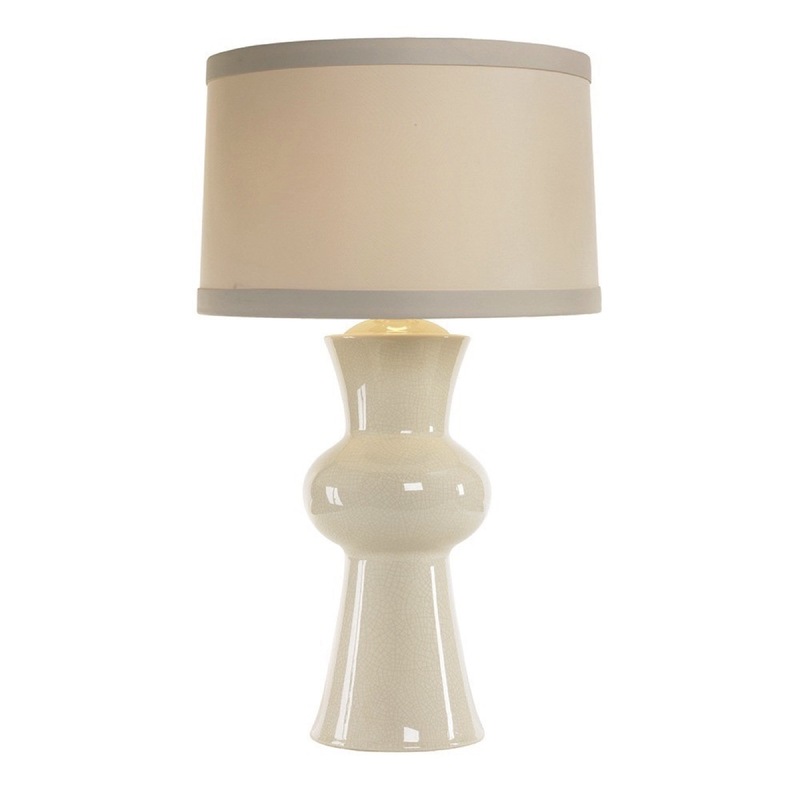 Crackled porcelain supports a putty and tan-trimmed polyester shade. 1-150W maximum, 3-way socket.